Ginseng is a species of plant native to areas of North America and Asia. Korean ginseng, otherwise known as Panax ginseng, is known to have been grown commercially in China and Korea since the 16th century, where it was used in traditional herbal medicines. 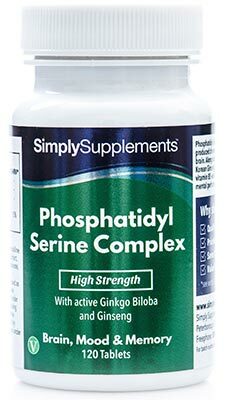 Today, however, it is popularly used world over in food supplements thanks to the benefits it can have to our health and wellbeing. What are the Benefits of Korean Ginseng? Korean ginseng is one of the most famous adaptogens, as it is a herb that can help invigorate the body which supports mental and physical wellbeing as well as our ability to combat the stressors we encounter. Ginseng also supports the production of T cells which are vital components of the immune system. Therefore, ginseng supports our ability to keep illnesses and infections at bay. To further boost the effectiveness of these high strength tablets, our nutrition team have incorporated zinc and vitamin B6 into the formula. The trace mineral zinc is required for healthy cognitive functioning and the immune system, whilst vitamin B6 works to help reduce tiredness and fatigue. 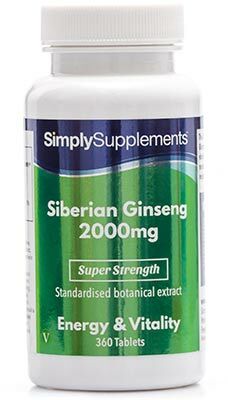 These high-quality ginseng tablets represent one of the strongest standardised ginseng extracts on the market. Each extract is taken from the roots of only mature Korean ginseng plants, which ensure the highest possible levels of quality. The standardisation techniques employed during production ensures that each tablet provides a consistently high level of natural compounds. By using standardised extracts, the 40mg used in each tablet is equivalent to around 2,000mg of ginseng root. The nature of standardised extracts allows for better manipulation of the ingredients without the risk of losing or destroying any of the content, a risk that is often more prominent when lesser extracts are used, like in other ginseng supplements you might find elsewhere on the market. Our streamlined, state of the art manufacturing process allows us to offer extremely good value for money. 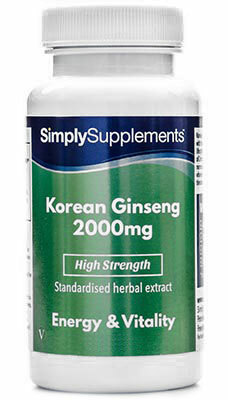 Simply Supplements Korean Ginseng tablets are manufactured in the UK in some of the most advanced facilities in the country. At these Good Manufacturing Practice (GMP) approved facilities; nutritional experts conduct in-depth tests and samplings at every stage of production to ensure that your supplements are free from potential contaminants. 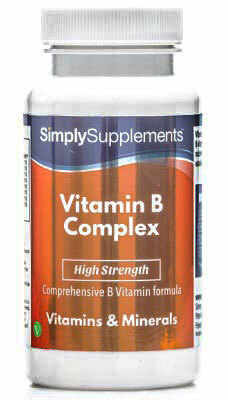 This guarantees that the carefully crafted formula remains as pure and nutrient-rich as possible.